Western red cedar planter. 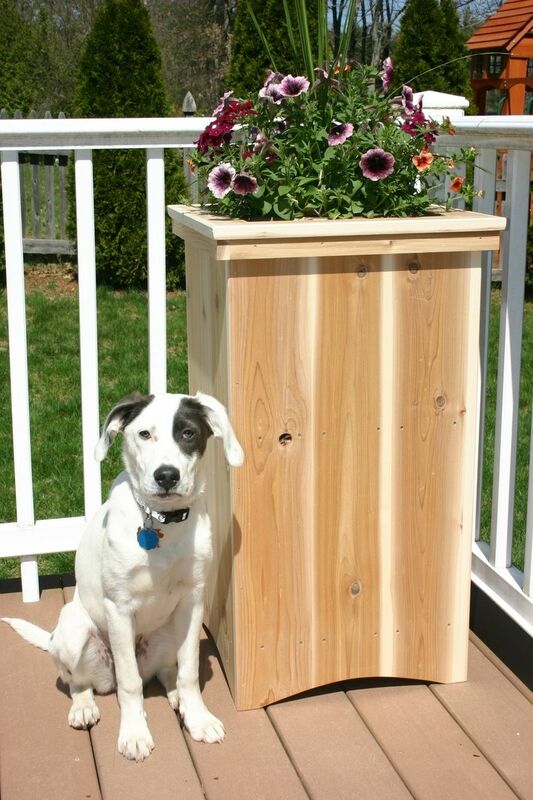 Available in two sizes, either 31" tall (shown with dog) or 18" tall. 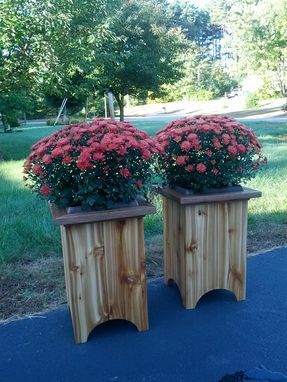 As shown, the 18" tall planter has a reclaimed mahogany top frame with mitered joints. Can also be made to your specifications regarding size, wood, and finish. 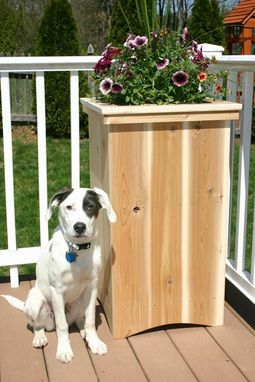 Left unfinished outdoors, the cedar planter will weather to a natural gray over time. Dog not included.